Brilliant light gold color. Attractive aromas and flavors of fresh pannetone, vanilla honey buttercream on graham cracker, nougat and candy corn, and banana custard pie with a silky, bright, fruity medium-to-full body and a tingling, intricate, long finish with notes of creamy toasted meringue, caramelized stone fruits, and delicate spices finish. A wonderfully creamy and effortlessly drinkable brandy that will appeal to wine drinkers. 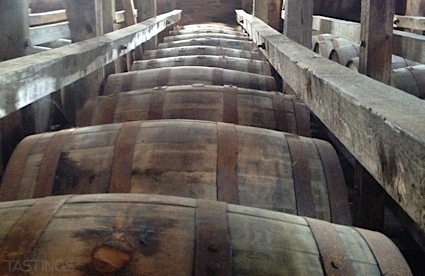 Bottom Line: A wonderfully creamy and effortlessly drinkable brandy that will appeal to wine drinkers. 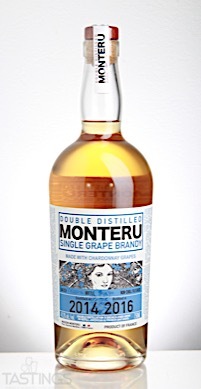 Monteru Chardonnay Single Grape Brandy rating was calculated by tastings.com to be 94 points out of 100 on 11/2/2017. Please note that MSRP may have changed since the date of our review.